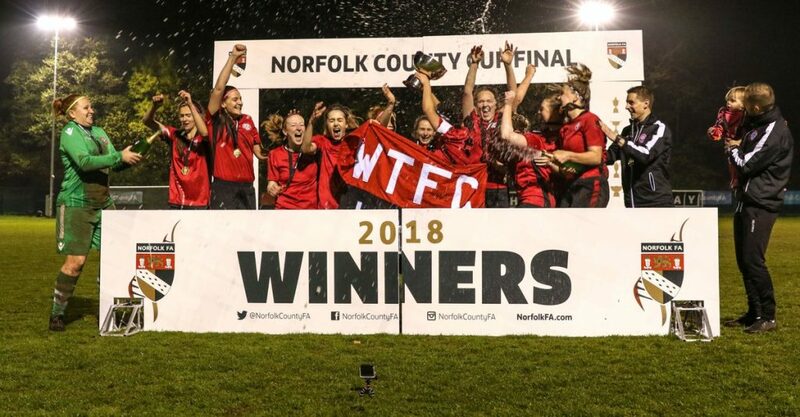 Wymondham Town lifted the Norfolk FA Women’s Cup on Friday evening, after a 3-2 victory over higher division Acle United, who had been reduced to ten players. 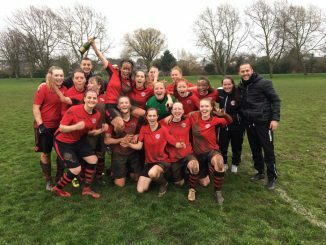 Easter League Division 1 North Wymondham were ahead on 10 minutes when Premier Division Acle United failed to clear their lines from a corner, Laura Nicholls netting from 3 yards out after the ball had rebounded off the crossbar. Acle equalised later in the half when a free kick from the right was whipped into the box, Kate Pasque’s header taking a deflection as it crossed the line. Wymondham regained the lead just before the break, when Molly O’Callaghan’s free kick took a wicked deflection off the wall and flew into the net. Town extended their lead as Chelsea Clarke calmly slotted the ball past Cyan Fullbrook in the Acle goal after latching onto a lovely through pass. Although Acle were down to ten players with a red card for Ciera Flatt, they did manage a second goal deep into stoppage-time through Naomi Cooper.